Director Chad (Someone’s Knocking at the Door) Ferrin’s harrowing and violent thriller Parasites will be available to rent or own in the US and Canada starting January 24th on iTunes, Amazon Instant, Google Play, Vudu and Xbox from 108 Media. 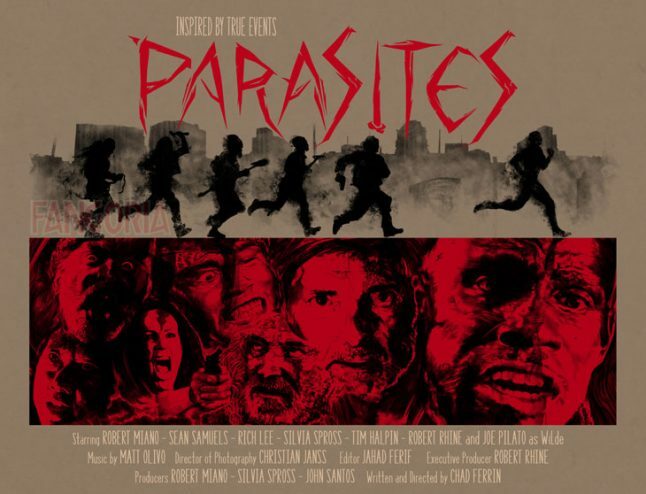 Parasites is an acclaimed urban horror film and festival hit (Fantasia, NYCHFF, Shriekfest and more) that rolls out one long night on Skid Row in a sadistic re-imagining of the true story of American hero John Colter and his flight from the Blackfoot Indians. 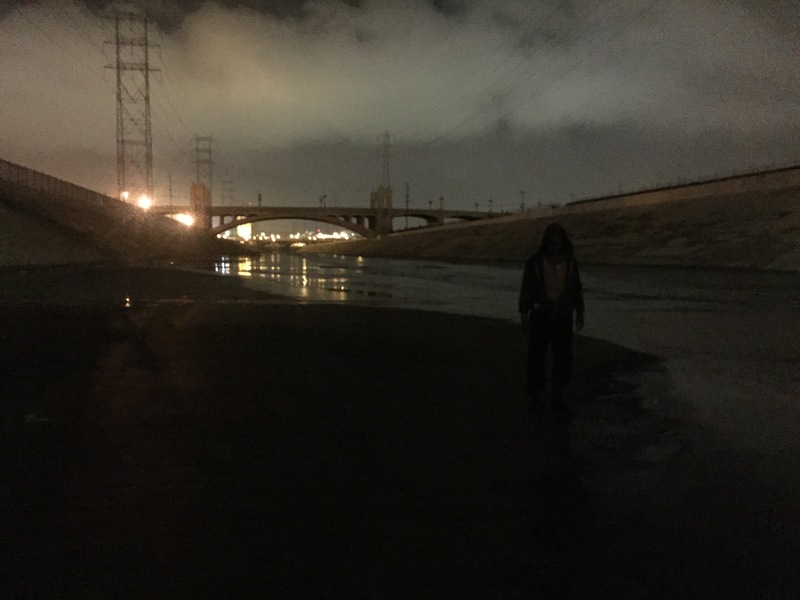 Synopsis: The industrial barbarism of downtown Los Angeles is equal parts player and punisher in this survive-at-all-costs tale of a group of friends who get lost in the seedy streets, where they encounter a crazed gang of homeless derelicts who seize them and, one by one, horrifically kill all but one man. The surviving man escapes on foot, naked and unarmed, with a pack of depraved transients in pursuit, and only seconds away from capture. Clinging to sanity and reduced to helpless human quarry, with only instinct to guide him, can he survive this coliseum of horror? Mark January 24th on your calendar to catch this creepy contemporary action thriller.